Fighting the disease that affects more than 20 million Americans. Asthma tends to occur within families. The role of inheritance plays a less clear role in adult-onset asthma. People of any age may have asthma, but more than half the cases are found in children between the ages of 2 and 17. In young children, boys are nearly twice as likely to develop asthma as girls, but this gender difference tends to disappear in older age groups. There are a wide variety of "triggers" that may initiate an episode of asthma. The most common triggers are allergens, exercise, viral respiratory infections, respiratory irritants and aspirin. What should be done during an episode? Always follow the instructions of your allergist. 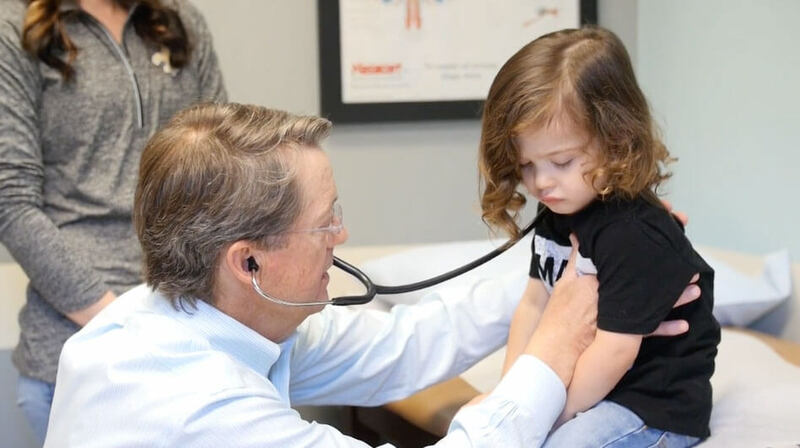 The doctors at the Mississippi Allergy & Asthma Clinic will give patients who have been diagnosed with asthma a plan for both day-to-day management and specific instructions on what to do during an episode. In general, it is important to stay calm and take your prescribed medications. Bronchodilators are the most commonly prescribed drugs to treat an asthma episode. They relax the muscles surrounding the airways, resulting in dilation of the bronchial tubes. Bronchodilators may be inhaled, taken orally or injected. Though it has long been treatable, a cure for asthma remains elusive. Preventive treatment, however, may minimize the difficulty an individual experiences with asthma. Scientists throughout the world are searching for specific cures. Prevention of symptoms is always the best form of treatment. It is important for a patient with asthma to learn what conditions prompt symptoms and avoid them whenever possible. When avoidance is impossible, preventive treatment is desirable. Various forms of preventive therapy are available. Medications may be started prior to exercise or exposure to environments that predictably produce an attack. If asthma symptoms are frequent or unpredictable, your allergist may advise you to take medications on a routine basis. Drugs used for this purpose include inhaled steroids, antileukotrienes, cromolyn and related drugs, inhaled or oral beta agonists (some of which are long acting), long-acting theophyllines, or oral steroids. For allergic patients, immunotherapy (allergy shots) may offer relief from allergens that cannot be avoided. Immunotherapy increases a patient's tolerance to the allergens that prompt asthma symptoms and appears to help control the inflammation that underlies chronic asthma. Learn self management skills for yourself, and teach your child these skills in an age-appropriate way. Some allergy problems — such as a mild case of hay fever — may not need any treatment. Sometimes allergies can be controlled with the occasional use of an over-the-counter medication. However, sometimes allergies can interfere with day-to-day activities or decrease the quality of life. Allergies can even be life threatening. One of the marvels of the human body is that it can defend itself against harmful invaders such as viruses or bacteria. But sometimes the defenses are too aggressive and harmless substances such as dust, molds or pollen are mistakenly identified as dangerous. The immune system then rallies its defenses, which include several chemicals to attack and destroy the supposed enemy. In the process, some unpleasant and, in extreme cases, life-threatening symptoms may be experienced in the allergy-prone individual. There are hundreds of ordinary substances that can trigger allergic reactions. Among the most common are plant pollens, molds, household dust (dust mites), cockroaches, pets, industrial chemicals, foods, medicines, feathers and insect stings. These triggers are called "allergens." Asthma and allergies can affect anyone, regardless of age, gender, race or socioeconomic factors. While it's true that asthma and allergies are more common in children, they can occur for the first time at any age. Sometimes allergy symptoms start in childhood, disappear for many years and then start up again during adult life. Although the exact genetic factors are not yet understood, there is a hereditary tendency to asthma and allergies. In susceptible people, factors such as hormones, stress, smoke, perfume or other environmental irritants also may play a role. What are the types of allergy problems? An allergic reaction may occur anywhere in the body but usually appears in the nose, eyes, lungs, lining of the stomach, sinuses, throat and skin. These are places where special immune system cells are stationed to fight off invaders that are inhaled, swallowed or come in contact with the skin. Often, the symptoms of asthma or allergies develop gradually over time. Allergy sufferers may become used to frequent symptoms such as sneezing, nasal congestion or wheezing. With the help of an allergist, these symptoms usually can be prevented or controlled with major improvement in quality of life. Allergy testing. The allergist will usually perform tests to determine what allergens are involved. Prevention education. The most effective approach to treating asthma or allergies is to avoid the factors that trigger the condition in the first place. Even when it is not possible to completely avoid allergens, an allergist can help you decrease exposure to allergens. Medication prescriptions. A number of new and effective medications are available to treat both asthma and allergies. Immunotherapy (Allergy Shots). In this treatment, patients are given injections every week or two of some or all of the allergens that cause their allergy problems. Gradually the injections get stronger and stronger. In most cases, the allergy problems get less and less over time. Your asthma or allergies decrease the quality of your life. The American College of Asthma & Allergy (ACAAI) offers comprehensive information and news on allergy & asthma.